This week has been very good for anglers. They are catching crappie and bluegill using crapie jiggs and night crawlers for baits average size 1-3 lbs. It's been a hit and miss for anglers trying to catch bass baits; being used are juice worms and spinner baits. Catfish has been pretty good, anglers are using night crawlers and catfish dough average size are 3-8 lbs. 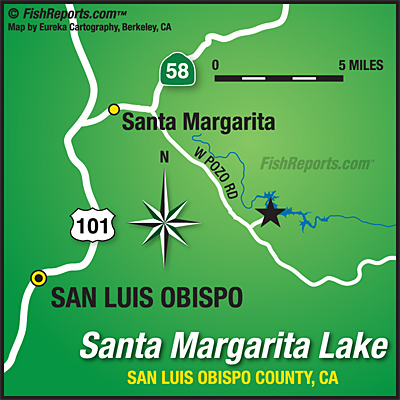 Overall the fishing at Santa Margarita Lake has been great.